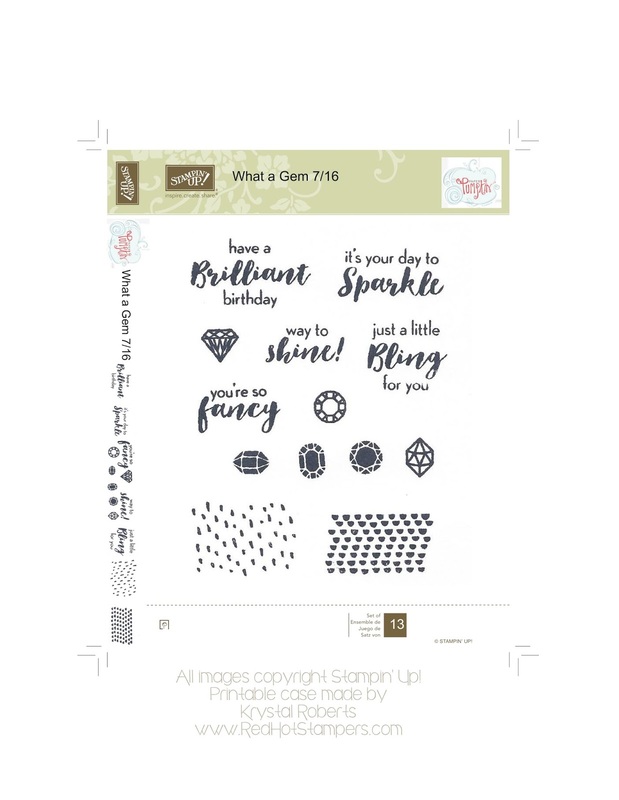 Red Hot Stampers: Paper Pumpkin July 2017: What a Gem! Oh. My. WORD!!! I LOVE this months Paper Pumpkin!!! I'm for sure buying refill kits for this one! They are PERFECT (and just in time!) for this months customers thank you gift. Also great to attach to a birthday bag, or as party favors, and they would be GREAT for any church youth group! The sayings remind me of one of my favorite "motivational" scriptures (aren't they all motivational???) Matthew 5:16 that says "Let your light so shine before men, that they may see your good works, and glorify your Father which is in heaven." (KJV) Whether you are a Christian or not, it's a great reminder that we are each unique, and have something to offer as a light to this ever darkening world. No matter how small your efforts, you can improve the world around you. As Rabbi Schneur Zalman of Liadi said, "A little light dispels a lot of darkness." Thanks again for stopping by! And thanks to all of you subscribers who left comments of appreciation for these case inserts. If you keep commenting, I'll keep making them! Thank you!!! Thanks so much for making these inserts! Thank you so much for continuing to make these for us. You have a very giving heart. Thank you so much for your very kind comment! I can't even tell you how happy that made me! I read it just before leaving on vacation and it made me smile every day thinking about it! Thank you! I am new to Paper Pumpkin and love seeing these organization tips. I think I will like the inserts. Thanks so much.